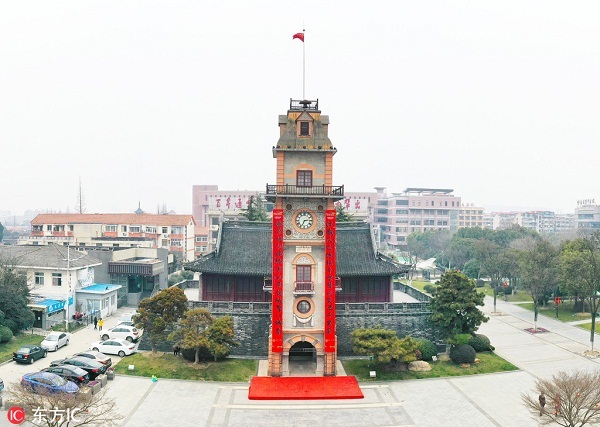 A pair of 12-meter long chunlian, or spring couplets, were hung on both sides of the bell tower in Nantong, East China’s Jiangsu province, on Jan 28. 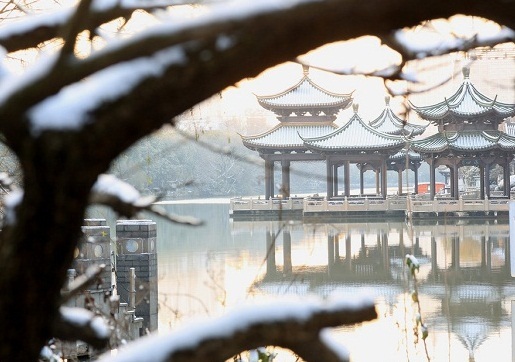 The couplets were chosen from nearly 10,000 proposals from around the world, for being the best representation of Nantong’s history and development. 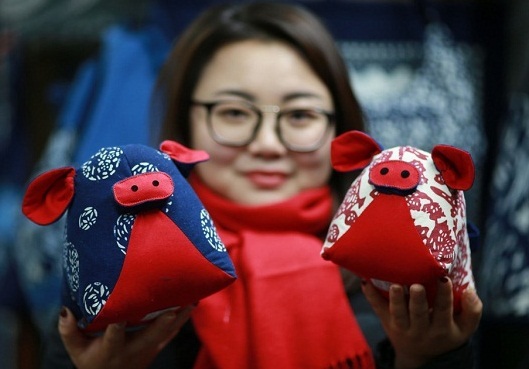 “The couplets extend best wishes to the whole city in a traditional Chinese way,” said Lu Weidong, head of the city’s publicity department. The unveiling ceremony also saw the attendance of more than 10 foreigners from eight countries, including the United Kingdom, South Africa and Japan. 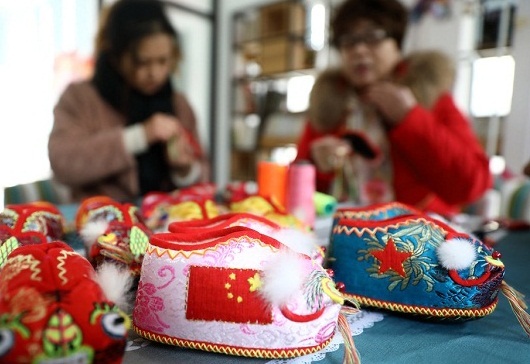 They learned to write spring couplets featuring the Chinese character, fu (blessing), under the instruction of renowned calligraphers, and enjoyed the festive mood of Chinese New Year.